Keeping a healthy balance of minerals in the body affects not only your overall well-being but has a tremendous impact generally – and not just physically but psychologically. Your very moods are determined by mineral balance. Perhaps as importantly, that balance affects the condition of your skin, nails, natural beauty features, hair growth and many other areas associated with a healthy body. Minerals could be described as the spark plugs of the body engine. Those nutrient minerals include magnesium, calcium, sodium, iron, copper, potassium, manganese, chromium, zinc, selenium and several others too numerous to mention here – and they’re are interactive in virtually all enzyme reactions in the body. Without such enzyme activity, life cannot exist. The very foundation of your health lies in an adequate mineral intake in the correct ratios. Other things you can do for your health like exercise is terrific, but minerals must be made the foundation of your regime and a priority. Once those minerals are balanced and kept topped up they can cure the majority of health issues folk spend wasting their time trying correct by other means. 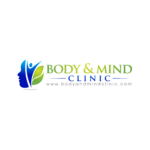 The Body and Mind Clinic can carry out a hair diagnostic for you in a matter of minutes. This hair tissue mineral analysis – HTMA for short – can be a very powerful ‘tool’ to determining any awry factors in the hair’s condition. It measures the minerals and heavy-metals that your body discards in the hair. By having a small hair sample analysed, our hair nutritionist can tell which minerals you are deficient in, as well as any heavy-metal toxicities that you may have. Our detection test can quickly reveal your hair’s exposure in these hectic times to toxic elements like arsenic, aluminium, cadmium, lead, antimony and mercury. Our hair analysis graph will show your personal mineral ratios which affect the proper functioning of the organs and tissues of the body. It will also determine where certain adverse minerals should not be – it’s called metastasizing – where they can get stored and prevent proper organ function. While there are minerals that need to be replenished, other forms need to be eradicated or detoxed from the body, where they’re not only proving useless but can also be damaging. You can read more about HTMA and how the Body and Mind Clinic can help with both mineral replenishment and the detoxification of bad elements elsewhere on the website – so too details of how you can book and appointment for your own hair diagnostic.